Reviews Are In: The AWWP Anthology is “Beautiful, Brave, and Inspiring All at Once”! 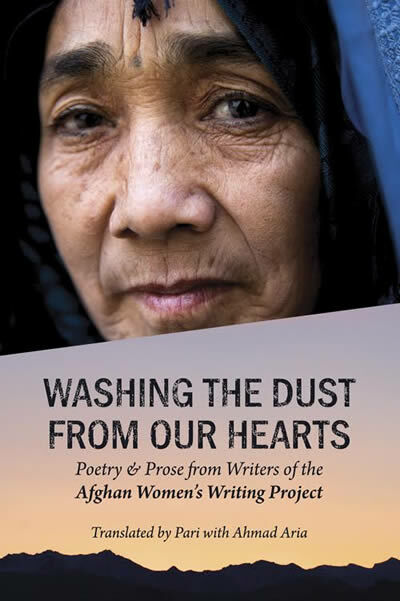 We are so proud of the poetry and prose of the Afghan women and girls we serve. Books may be purchased for $18 each at the AWWP market page. All proceeds go towards continuing our in-country and online workshops. If you belong to a book club or teach courses, consider recommending Washing the Dust from Our Hearts for group reading and discussion. Once you read it, consider leaving a review for us on Amazon or Goodreads.